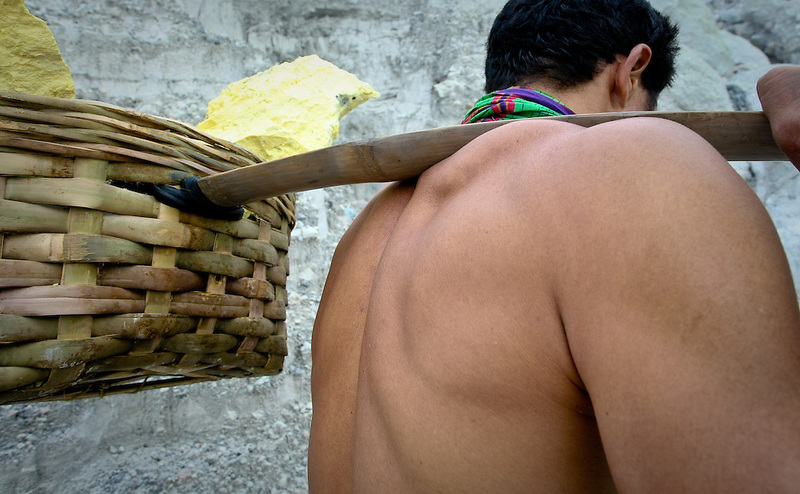 Shoulders of a mineworker. They carry up to 90kg (198lbs) per load and receive approximately forty-five cents per kilo (East Java, Indonesia). kawah ijen sulfur mine east java indonesia back heavy load. Kawah Ijen Sulfur Mine manual labor smoke fume working condition hardship.